Fitted and Tailored Car Covers for the Seat Range. Coupre Ibiza Leon Toledo. Indoor, Outdoor with wing mirror pockets. See details Seat Córdoba 'Voyager' Tailored Car Cover for indoor/outdoor use. See details Seat Ibiza (all versions) 'Voyager' Tailored Car Cover for indoor/outdoor use. 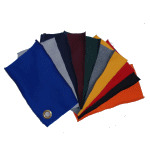 Monsoon covers are extremely sturdy and are often used for vehicles that are stored outdoors or in barns on a long term basis or for vehicles that are only driven at the weekends. 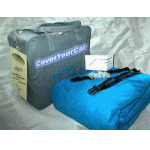 See details Seat Leon 'Voyager' Tailored Car Cover for indoor/outdoor use. Choose your level of protection for your Seat Mii. Sahara, Voyager, Monsoon or our new Stormforce 4 layer cover, each with Mirror pockets as standard.